Tuff Automation has designed, built, and integrated many types of material handling carts for a variety of customers, for use with AGV’s and operator-driven tow vehicles, in a wide range of production, warehousing, and ASRS (automated storage and retrieval) applications. Designed for moving products on an assembly line or transporting goods throughout a plant or warehouse, Tuff Automation has the experience needed to build carts that will meet customer’s specific application requirements. The type of cart that you choose depends on the weight, size, and shape of the load as well as plant configuration. Some examples of the type of carts we have designed and built include AGV & tugger tow carts, hydraulic lift carts, and carts with automatic transfers. Carts can be provided with quad steer design to provide positive tracking and trailing with precision steering to follow the exact path of the tow vehicle. 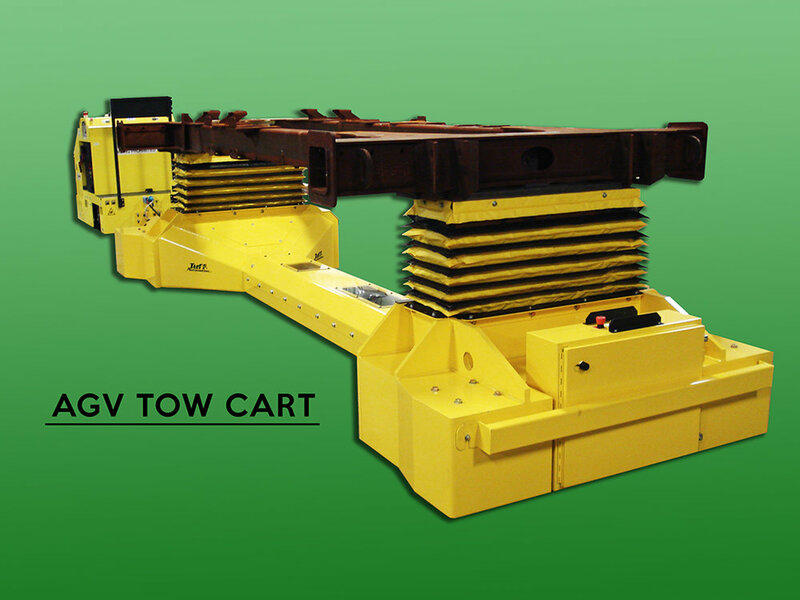 Tuff Automation can provide carts to any specifications, and also provide the other equipment required for AGV and tugger applications, such as custom fixtures for the tow vehicles, and custom guide fixtures and docking stations. On a recent project, in addition to supplying the custom carts, Tuff Automation also provided a custom guide fixture so that when the cart is guided into position, the fixture on the cart automatically locks into the station, connecting power to the cart in order to operate the lift/transfer on the cart. Carts offer a cost-effective alternative to fork lifts. They require less manpower than traditional fork lifts because they are able to carry a higher volume load in less trips. Loads of different shapes and sizes are easily moved with a cart system making it a flexible transportation option for changing production methods and products. Using a tugger/cart system is also safer than a fork lift because the driver has better visibility, resulting in less accidents. Tuff Automation’s carts are custom designed for each application. Tuff also integrates the controls system required for any application. 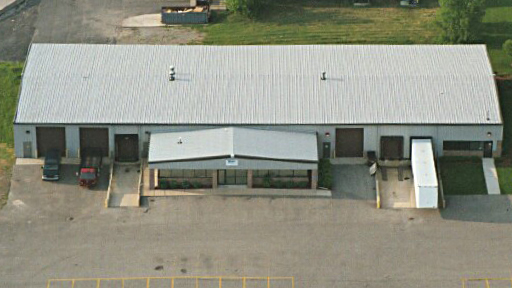 Our superior designs, heavy-duty fabrication, and quality components guarantee dependability. If you are interested in having us provide a quote for your cart requirements, or would like to discuss any other solutions for material handling, we would appreciate the opportunity to meet with you. Contact us for more information.